This was one silly, fun, loud teenager filled party but Pop Up Studios loved it. We all had a blast with music and rice krispie treats! 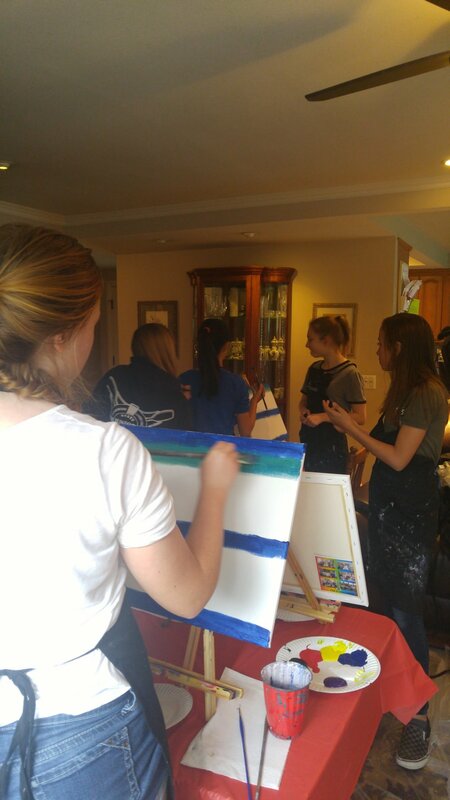 Then we started painting " Come Sail Away" and every girl was very careful to make it PERFECT!!! And let me tell you most of them turned out that way!!! These girls were beyond amazing at what they were doing, it was very impressive. We sang off key a bunch and got through all the steps, and we had a massively great time. Thanks so much Lisa for having this party! And HAAPPY BIRTHDAY AMANDA, I wish many more fun times with all of your good friends!! !